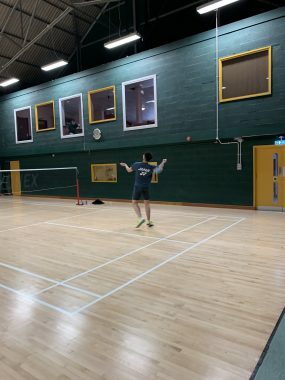 B adminton is a very popular sport here at Ruthin School. 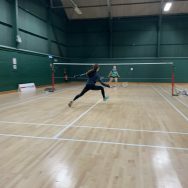 For the last two years, Ruthin School has been delighted that a small group of students have been of a high enough standard to be selected to play in the local badminton team. They have regularly completed in the weekly league during 2017/18 and now 2018/19, playing alongside adult players. 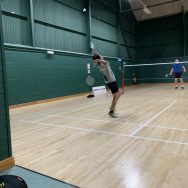 Last weekend, Figo, Angela & Marco all took part in the “James Wiseman Senior Open Gold tournament” at the North Wales badminton centre in Llandudno. Angela & Figo both got to the quarter final stages of the singles tournament & Marco got to the final, but sadly lost. This was a great effort from the students as it was open to all ages and so they were against players a lot older than themselves. Figo & Angela played in the mixed doubles and reached the semi-finals.